In the wake of last week’s Aurora massacre, much of the pundit class has begun doing what much of the pundit class always does. First came the ugly and unnecessary speculation about whether James Holmes, the primary suspect in the case, is a liberal or a conservative. But that argument died down when it was discovered that Holmes describes himself as “middle of the road” when it comes to politics. Today, the popular discussion is about whether the 24-year-old former neuroscience student is a terrorist or just mentally unstable. I agree with Sidhu in that I believe that the public needs to begin drawing less of a clear distinction between the Holmeses and the Hasans of the world. Where I differ with Sidhu, however, is that I wonder not why men like Holmes are given the benefit of the doubt about mental illness but why men like Hasan aren’t, also. While there is by no means a mountain of evidence when it comes to the relationship between terrorism and mental illness, there is certainly enough data to make anyone interested in keeping America safe sit up and take note. Firstly, the preponderance of religiosity in psychotic episodes is a well-documented phenomenon. That’s not to say that religion causes psychosis, of course, but that, probably due to religion’s central role in much of society, people given to psychotic episodes oftentimes latch on to religion in strange and severe ways. Consider the case of Ali Reza Shahsavari, who last year forced a Southwest Airlines flight to land after he leapt from his seat and started yelling, “You’re all going to die. You’re all going to hell. Allahu Akbar.” To many , Shahsavari might have seemed like he was making terrorist threats. But it turned out he was just a schizophrenic who’d been taking the wrong medication. Ziegler is right: I used to date a woman whose cousin was schizophrenic. He kept a blog on which he would often rant that God was talking directly to him, telling him what was wrong with the world. Sometimes he’d even theorize that he himself was God. When you meet people whose illness leaves them so vulnerable to suggestion like that, it’s not hard to envision a chicken hawk in one of the world’s biggest terrorist organizations (or the KKK, or the Crips etc.) taking advantage of them for his own harmful purposes. Lankford cites Israeli scholars who interviewed would-be Palestinian suicide bombers. These scholars found that 40 percent of the terrorists showed suicidal tendencies; 13 percent had made previous suicide attempts, unrelated to terrorism. Lankford finds Palestinian and Chechen terrorists who are financially insolvent, recently divorced, or in debilitating health in the months prior to their attacks. A 9/11 hijacker, in his final note to his wife, describing how ashamed he is to have never lived up to her expectations. Terrorist recruiters admitting they look for the “sad guys” for martyrdom. “Sad guys,” depressed people facing trauma and failure, and people who have attempted suicide before. Is it a psych ward at the hospital, or a large section of Al-Qaeda? It’s getting harder to tell. To be clear, nobody’s saying that all—or even most—terrorists aren’t cold, bloodthirsty killers who know exactly what they’re doing every time they commit another heinous act. 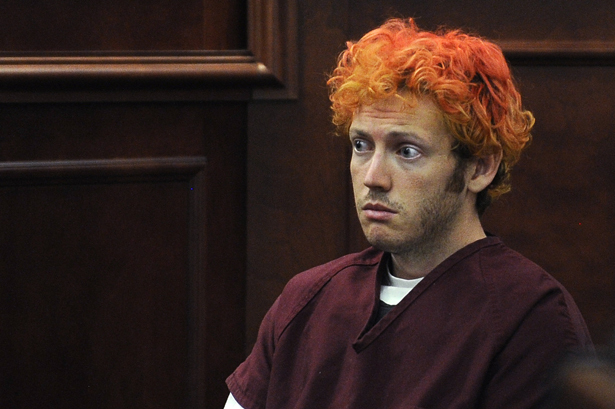 But there is reason to believe that a significant number of foreign and domestic terrorists are suffering from the exact same mental distresses by which we quickly assume men like James Holmes and boys like Eric Harris and Dylan Klebold, the Columbine killers, to be afflicted. That we don’t immediately afford that same leeway to Muslims who deal out violence says more about us than about them. It says we’re a nation still operating under the assumption that all terrorists are brown and that all terrorism can be explained directly and thoroughly with words like “evil” and “Islam.” It says we’re a nation of people who still think we’re inherently very different from other people. And it says we’re a nation still searching for exact answers in a world where few exact answers exist.